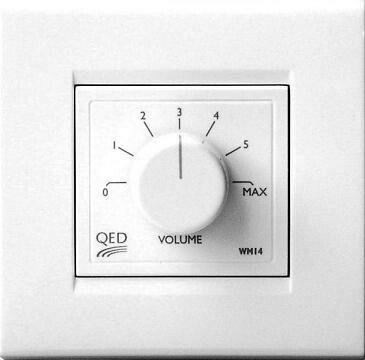 The QED WM14 is a useful wall mountable volume control, designed to be installed in between amplifier and speakers. With a six step volume control, it's an ideal choice for controlling speakers in an additional room or for controlling volume from another part of the same room. Suitable for amplifiers up to 30W. Screw cable connection. Requires back box of at least 44mm depth. This should never be used in the same back box as a mains powered device or switch.